What comes to your mind when you think of classic American food? Is it hamburgers, corn dogs, McGriddle, donuts or cinnamon rolls? Whichever it may be, I think it’s safe to say that it’s probably something that you have a love-and-hate relationship with (it’s got to be cinnamon rolls with or without icing for me). 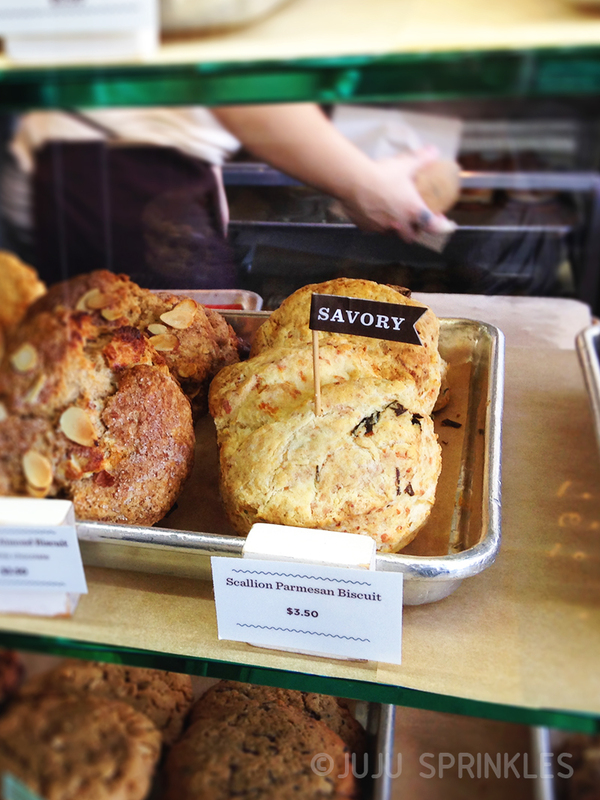 I recently visited Flour & Co Bakery in Nob Hill because I heard they carry Stumptown Coffee, which means they must know what they are doing. Just kidding! 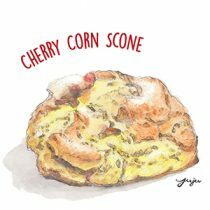 I have actually been on a “SWEETS” mission for over 2-weeks now looking for the best sweets in San Francisco. Not the most diet friendly mission, but I really can’t complain especially when I got to eat some amazing desserts that almost brought tears to my eyes. 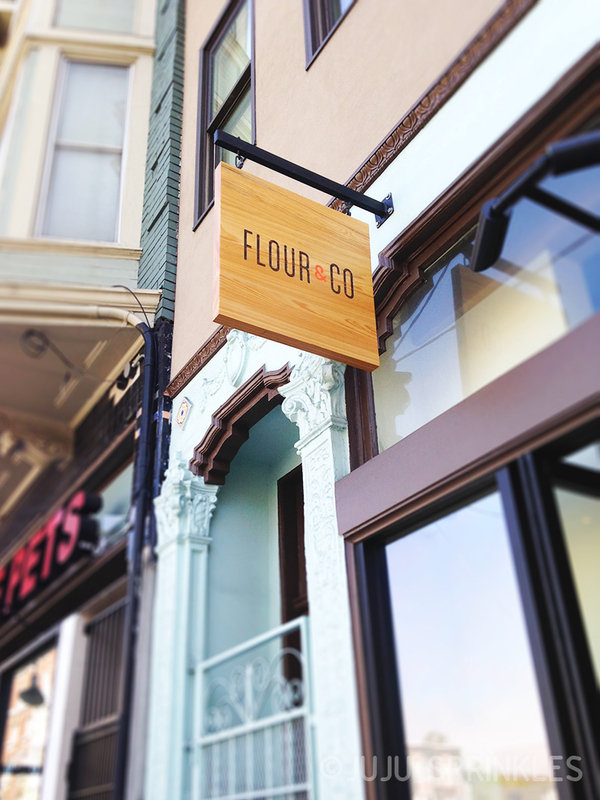 Flour & Co was on my list of must-eat dessert places. 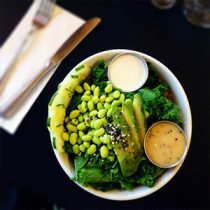 A part of me wish I had known about this place earlier, but a part of me wish I hadn’t because Flour & Co specializes in classic American food that are made with all natural ingredients (organic when available). So remember I said I have been able to avoid eating unhealthy classic American food? Well, I can’t do that anymore! 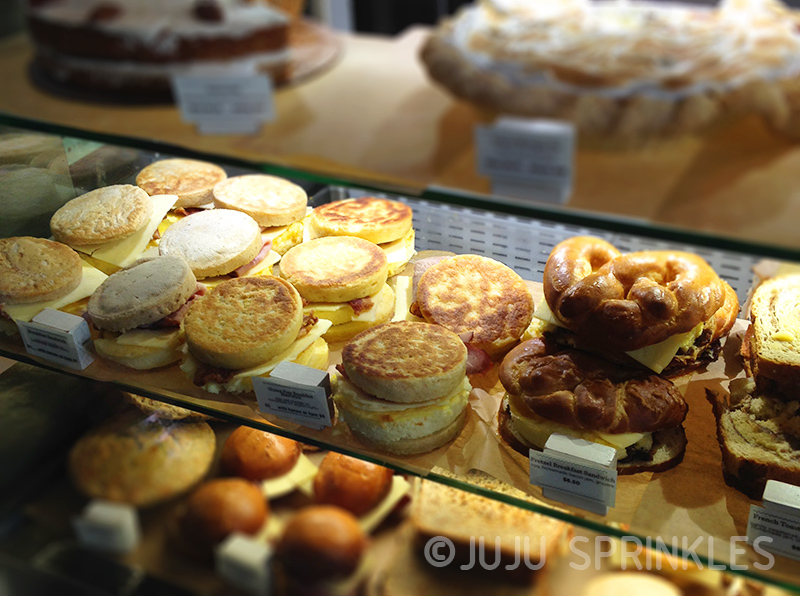 Their breakfast sandwich (pretzel or English muffin) is a beautiful example of classic American breakfast done right. The egg in the sandwich is especially worth mentioning because it’s fluffy and custardy and melts in your mouth. Then to top it off, they have rows of classic American baked goods like biscuits, toasty tarts, cookies and seasonal pies (menu). 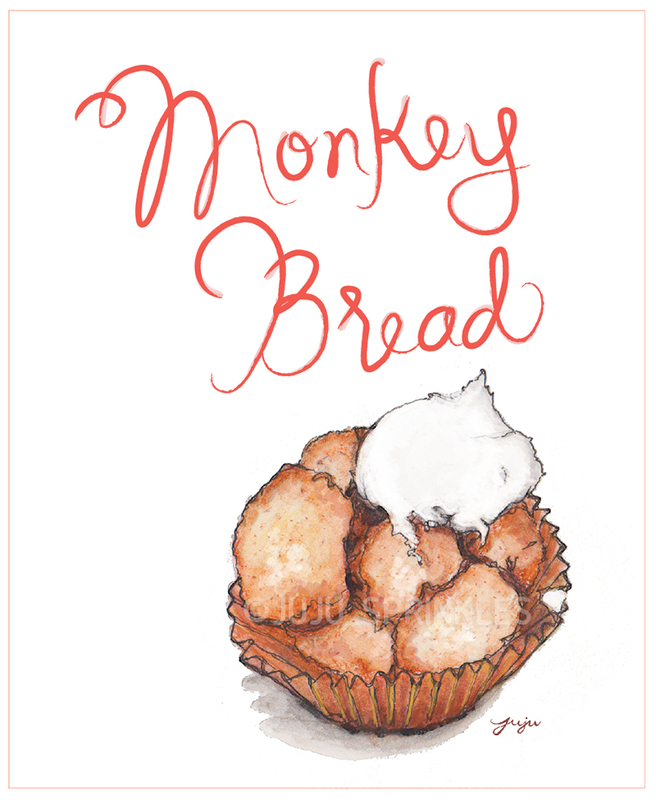 If you can’t decide, go for the Monkey bread. Do not underestimate this little guy, the dollop of frosting on top is the pièce de résistance. For those who aren’t familiar with Monkey bread, it’s basically made with pieces of soft bread stuffed together and then coated with sugar and cinnamon. It’s fun to eat because you can pluck bite size pieces off the bread and dip them in frosting. 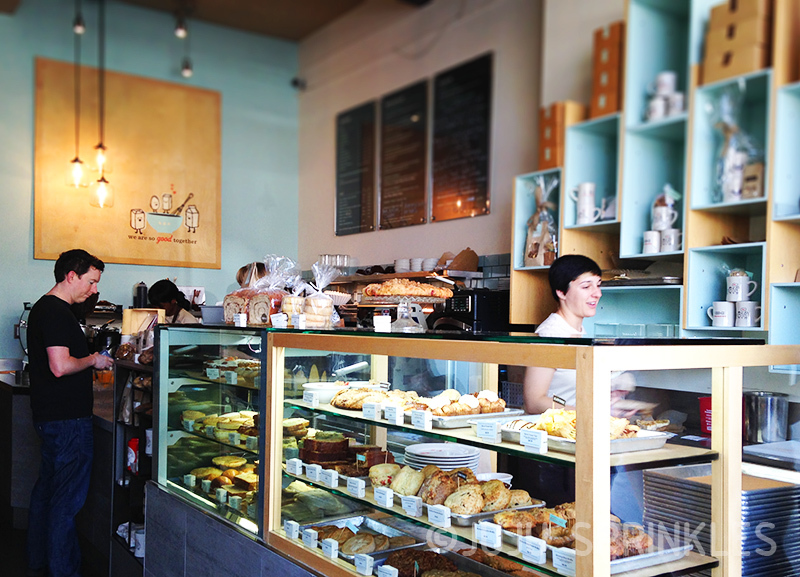 Besides perfecting classic American food, Flour & Co has some of the cutest graphics I’ve ever seen in a bakery. 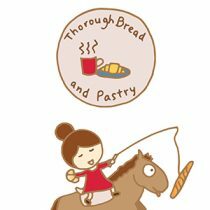 The little mascots of flour, sugar, butter, egg and milk set a fun and lively atmosphere when you visit. 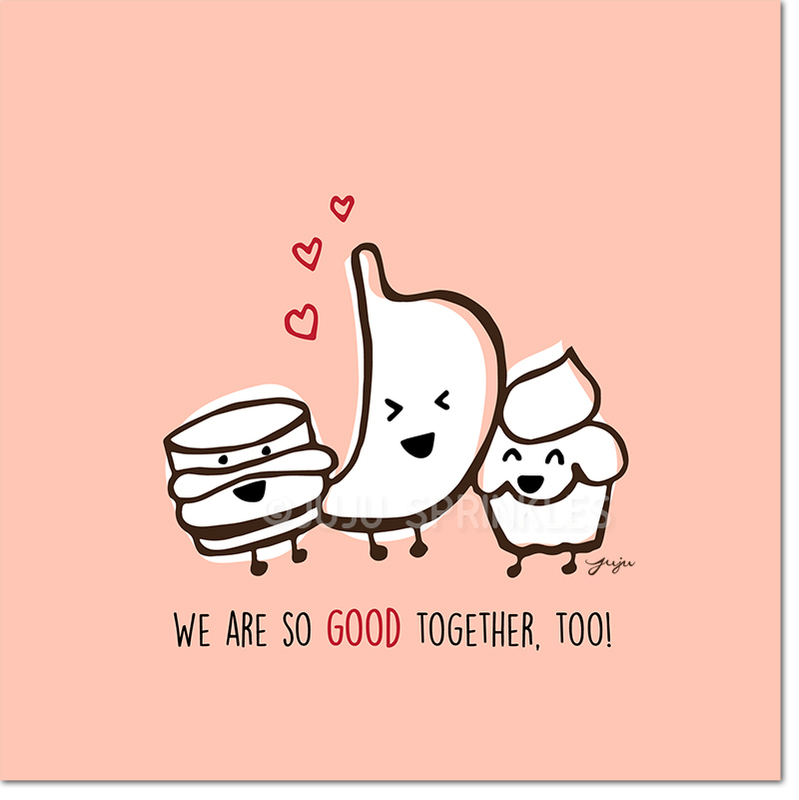 So while my self defense against classic American food fails miserably at Flour & Co, my tummy sure looks jolly with his new buddies (doodles inspired by Flour & Co). In Berkeley? They are coming soon! 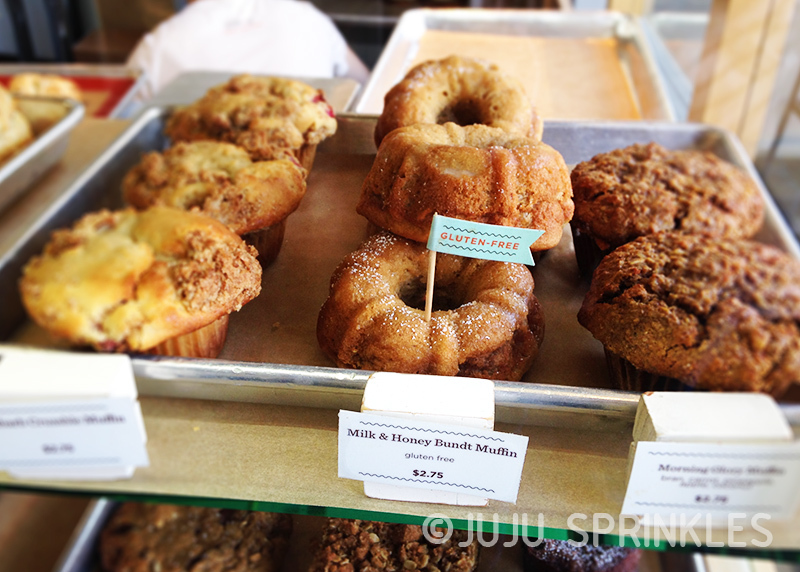 Must try: Breakfast sandwiches (on pretzel or English muffin) and monkey bread. 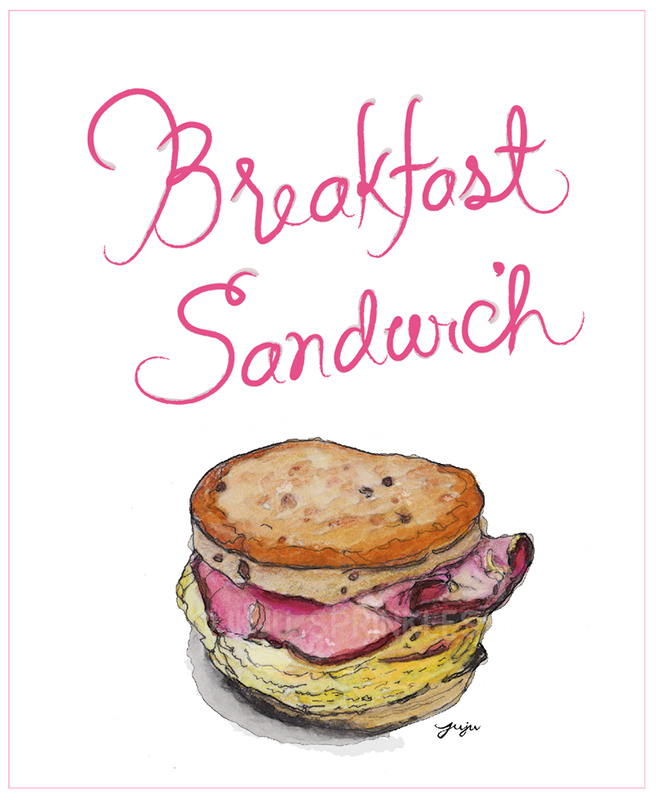 Breakfast sandwiches may take some time to make, be patient, it’s worth the wait. Grab a coldbrew Stumptown (chocolate coffee is the best) to go with your goodies. What’s your favorite classic American food?